Old receivers, vintage receivers, stereo receivers, broken sound system receivers, and more all need some type of restoration. Our main focus for this article is on how to fix an old receiver. Receivers, which are also known as amplifiers, have the responsibility of interpreting audio and video signals. Once the signals are processed, the receiver pushes it towards a loudspeaker and displays the video signals on a monitor. A receiver can be found in a variety of electronic devices. And the reason being is because it can process both audio and video signals. On the other hand, why would someone want to repair an old receiver when you can just buy a new receiver? There’s less hassle and less time spent if you just buy a new receiver. And since this is a common counter, let’s figure out why you should fix an old receiver. The most practical reason why you should get a receiver is to save money. An old receiver can easily go for a $100 today. Compare that to a $300-$500 receiver and there’s no competition. After saving (a good reason), another reason why you should buy an old receiver is so you can understand how a speaker works. 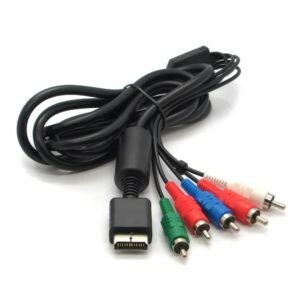 Similar to how we said to create your own custom speaker cable to understand it, we say the same for vintage receivers. Learning the ins and outs of a receiver is priceless. Instead of hiring a professional or purchasing another receiver, you’ll have the skill to know what looks out of wack and repair whatever damage is done. If there happens to be damage on an old receiver than it’s much worse compared to a new receiver. 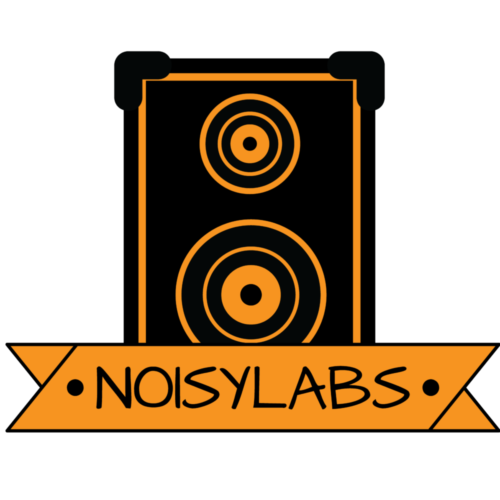 Here at Noisylabs we like to keep it real (transparent). And the real deal when buying an old broken sound receiver is you might sink a lot of money trying to fix it. The initial costs are low. But the maintenance costs are the kicker. Refurbishing a receiver can drain your money because you have to spend money to get it ready for use. In reality, costs can get much higher. And this isn’t even including damaging something yourself trying to fix it. Another reason why purchasing a vintage receiver isn’t ideal is due to sound quality. A new receiver will get the job done for sound quality just because it doesn’t have wear and tear. For those who know how to fix electronics, they’ll have it easier. And knowing how to fix electronics usually comes from knowing what the device is made of which is a reason fixing an old receiver is worth it. What Is A Receiver/Amplifier Made Of? The receiver’s main job is to make the audio signal stronger. The complex part is understanding all the tiny bits and pieces to let the amplifier do that. To be able to tackle a complex concept, we need to break it down into smaller pieces so each description is easy to digest instead of throwing the whole thing at your brain to where you don’t understand a single concept. There are 2 circuits in an amplifier: output and input circuit. In an output circuit, the power comes from the amplifier’s own battery or power outlet. Think of it like this, the “output” should remind you of something external. And both the battery and power outlet are external components from the receiver. Identifying the output circuit will help you out when figuring out what’s wrong with the electrical circuit. At the very least, it will help you when you’re troubleshooting your vintage receiver. If the output circuit works fine then you can just cross it off the list of potential problems. The output circuit wouldn’t work without the help of the input circuit. The input circuit uses a variable resistor to apply varying resistance to the output circuit. This results in the output circuit trying to get the same voltage fluctuations of the former audio signal. For those wondering, a variable resistor controls the current flow. It allows current to be unleashed, and it can increase or decrease flow. To state simply, the variable resistor acts as a moderator. Sometimes, to fix an old receiver, you need to look at the pre-amplifiers. The pre-amplifier works the same way an original amplifier does. And sometimes, that old receiver might have multiple pre-amplifiers because it wants to slowly work its way up to a high-voltage output signal. Understanding circuits are important. But let’s look at the bigger picture so you can help yourself in understanding your circuits better. A schematic diagram illustrates an electrical circuit using symbols to show how a circuit works. Symbols represent the physical features of the circuit. Being able to read schematics lets you see the different components in a system. If you’re in the troubleshooting phase of fixing your old receiver or vintage receiver then going down the list of the components on the schematic makes it easier for you to diagnose the problem. In addition, being able to read a schematic makes it easier to understand how the whole system works together. Disadvantages of a schematic are it doesn’t have the intangibles. This means it doesn’t have the parasitic elements and high-frequency critical parts. Isn’t it important to understand parasitic elements like resistance and capacitance? Considering resistance alone plays a huge role in determining what’s disrupting sound, we think so. Reading the schematic and understanding the circuit helps you understand a vintage receiver better. Now you need to focus on what’s significant in an old receiver. What’s The Main Component Of An Amplifier? The main component of an amplifier or receiver (whichever you prefer) is the transistor. The main characteristic of all the components in a receiver regardless if it’s old or not is the ability to conduct electrical current. At the center of an amplifier in terms of functionality is the transistor. And one of the main reasons why is the ability to conduct electrical current. 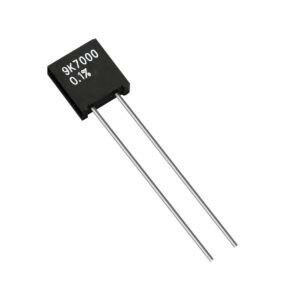 The main element of a transistor is a semiconductor. Semiconductors are used in a lot of electronics. One example of this is the use of it in microprocessor chips. 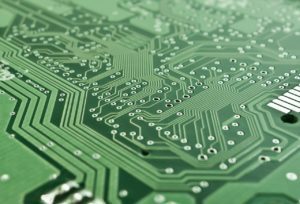 This means semiconductors are used in computers, iPods, cell phones, and more. Zooming out to the bigger picture, transistors are like switches which can be turned on by electrical signals. This results in the transistor having the ability to enable or disable the flow of electricity by 2 ends of a wire. The enabling or disabling depends on what type of electronic signal is sent to the transistor. This is why speaker wires and resistance is important to consider. Combining your understanding of schematics, the circuit, and what’s important in an amplifier helps you on your journey of troubleshooting your old stereo receivers. If you’re at the troubleshooting phase then we’re assuming you have a basic understanding of how the system and its components work. Starting with some knowledge helps you fit the pieces together. If you were to start on troubleshooting without knowledge, then you’re throwing darts blindfolded. Also keep in mind that the troubleshooting tips we give here isn’t the be all end all. There’s the possibility of new problems popping up for your broken sound system receivers. Cable connections for any speaker are important regardless if it’s an outdoor speaker or old receiver. There isn’t anything specific that needs to be pointed out but we’ll point out a few things you should always check for. The first is the looseness. Checking if any cables are loose sounds simple, but it’s often overlooked because cables have to be secured tightly. Any, and we mean ANY looseness can affect a speaker’s sound. If you’re running direct burial wires then you should check how it is every now and then. You never know, there can be a tear or rip along the cable. Actually, you should do the same for any other speaker cable. You want to keep your vents in mint condition. Make sure you wipe off the air intake vents because they might be blocked with dust and heat inside the receiver. Once you’ve checked the vents, move on to the internal components. A burnt fuse is easy to identify and replace if it ever happens. The first step is to disconnect the device you’re working with because you can electrocute yourself. The next step is to find the fuse. It’s usually near the power source, that’s the first place you should look at. After you’ve located it, pull it out, GENTLY! Pulling out without any caution can cause you to rip something out and damage other components of the circuit. Next is to test if the fuse is burnt or not by testing. When you’re testing, figure out whether or not the fuse is glass or ceramic. The reason for this is so we can identify which way you should test the fuse. 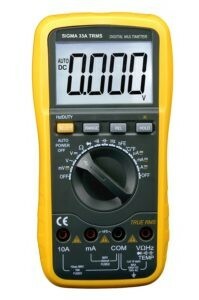 A multimeter measures 3 metrics. First, is voltage. The second metric is current, and the third is resistance. Remember when we said parasitic elements are important? Well, here is one example why. If the parasitic elements were placed on the schematic then we wouldn’t have to test it out, saving time and money. 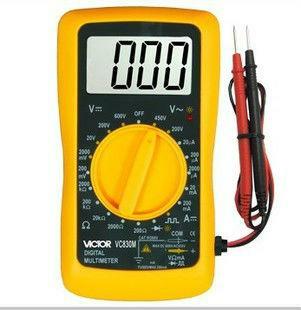 After the multimeter is the ohmmeter. 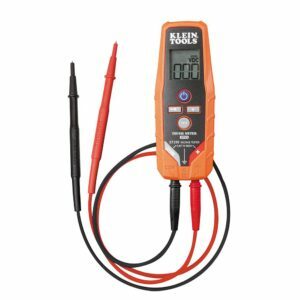 The ohmmeter measures electrical resistance. 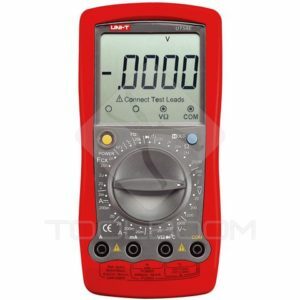 Finally, once you’ve identified what you’re going to use as the ohmmeter and multimeter, find out what continuity checker you shall use. A continuity checker helps the troubleshooter understand if a pathway can be used for electricity. To elaborate, a continuity checker is checking to see whether one endpoint to another endpoint is good enough to put electricity through. There is a mode speakers go into when it overheats…. Have any clue as to what it is? The answer is protection mode. 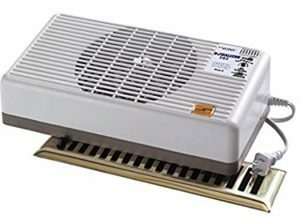 Common reasons why old receivers, stereo receivers, and sound system receivers overheat is due to no airflow. Both the fan and vents are fixes that won’t automatically fix your problem, but they’re necessary steps to keeping your receiver long-term. If there is a fan, great, you can replace it. One idea for a fan is using another fan meant for another device. If you have a computer (that you’re not using) that has a fan then use that. Make sure it fits on your speaker and it’s not bigger than your speaker. Another factor you need to consider is what type of fan you’re going to use. Remember, before going to work on anything electric, YOU MUST TURN IT OFF BEFOREHAND. You run the risk of hurting yourself if you’re not careful. Next up is determining the best place for your fan. The best place would be where any vent, grille, or opening is. The biggest reason why you should place a fan there is because it’s already optimized for ventilation. After you’ve found your landing spot then you need to make a rough draft of what shape you want your fan to be. And preferably make it the same shape as the fan you’re using. Otherwise, there’s the risk of your fan not being stable. What you’re going to need to actually start working is a metal cutting tool. Keep in mind that all these cutting tools vary in style. Finding one that works for the metal you’re cutting and how you handle the tool are the more important factors. To start off, we will talk about the nibbler. Have you ever had nibblers at Mrs. Fields?….because if you haven’t then we feel bad. Their soft, moist, and best of all, small. The nibbler in terms of a metal-cutting tool is an inexpensive cutting instrument that cuts like a laser. In addition to that is it’s not noisy and has minimal distortion. Its main purpose is to make longer cuts. This is why it’s compatible with what you’re trying to do. Its laser-like precision helps with making the best frame for your fan. An angle grinder is versatile. If you’re in a metropolitan area you might see a construction worker wielding one. They’re usually using it to cut metal or cut tiles. Besides its ability to cut through different material, the angle grinder can also change its blades. The specific blade you want to use for metal is called a “metal cutoff blade”. Using the compound snip is what we think a total beginner would use. Not only is it inexpensive but it functions like scissors, so there’s not much to learn. If you’re working with a thin metal frame then this is the way to go. Similar to how we use scissors to cut paper (thin), we use the compound snip to work with thin metal. On the otherhand, if you aren’t good with normal scissors, we wouldn’t suggest going with this option. Messing up your cuts shouldn’t be tolerated when trying to fit your frame. It’s very important you get it right the first time or else you’ll be stuck with what you cut. Diving into deeper details, there are 3 different type of snips. The first type of snip is left, the second, right, and the third is straight. To fasten the process of helping you make a choice, consider this. All of them can cut straight. But the left goes better when you’re curving to the left when making a cut, and a right snip is good when you’re curving to the right when cutting. A dremel is another lightweight tool that’s easy to move around with. The strength of this tool is also its weakness. What it does is make fast, short cuts. It can’t handle long curves because it’s a free hand tool. You would need something to stabilize the tool when going around the curve. This is what makes the angle grinder useful. The downside of that tool is its pricing. An alternative for someone who uses a dremel is to just do your cutting with it. Smooth out the edges later with sandpaper. We recommend searching the receiver for any spots you can insert a screw in. The important part here is to make sure the screws are not touching any internal components once you determine where you’re going to put your fan. Imagine if screws were touching your heatsinks, the heat will be transferred to the screws, and move towards the fan and its battery thus resulting in another device shutting down. But for those who don’t already have a fan here are some recommendations. 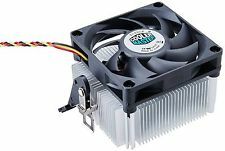 If you want a cooling fan which is quiet and efficient then consider purchasing the Antec TrueQuiet 120 120mm Case Cooling Fan. Do you know the 2 ingredients that reduce the fan’s noise? It’s a combination of a unique fan blade and silicone grommets to reduce noise. But fans aren’t the only component which cools down the system. There’s also this other component called a heatsink. The main job of a heatsink is to regulate the temperature of the electronic device it’s part of. Think of a heatsink like the sweat we produce when exercising. When pushing ourselves, we tend to overheat and our body’s defense against that is to sweat. When we’re sweating, that is our body telling itself it needs to cool down. 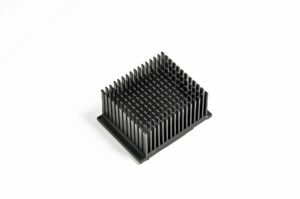 The one difference between humans and heatsinks is heatsinks transfer heat. What’s cool about that is it doesn’t have to bare the heat itself. It just dissipates the heat around the device. Where is the heatsink taking the heat from? It’s taking the heat from the digital signal processor (DSP). A DSP is similar to a central processing unit except the DSP works with audio and video components. Now, we know what you’re thinking…..how does this relate on how to fix an old receiver? The first part was meant to help you understand. Now we want to show you what you need to look at on the heatsink to fix your old receiver. An old receiver has old internal components. No surprise here. The key is to look for the components which have the biggest effects. And one component that’s critical is the heatsink. A heatsink has a thermal conductor. Its job is to take the heat away from the DSP and spread it all around so nothing overheats. It’s literally just a tool that transfers heat. There’s no other function you need to concern yourself with. Your electronic device will give out from overheating. But there are some remedies you can apply if that were the case. Thermal grease or thermal adhesive blocks air gaps between the heat sink and the heat spreader. 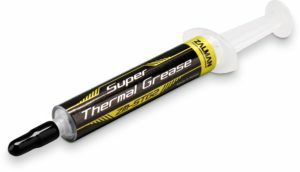 Both thermal grease and thermal adhesives help spread the heat. Anytime there’s an air gap, it acts as a heat insulator. So purchasing an accessory like this could be one of the solutions to fixing a vintage receiver. 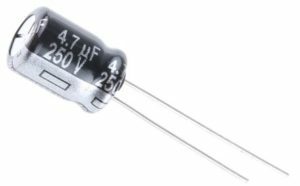 A capacitor has multiple uses but there is 1 constant. A capacitor is found all over the electronic field. With its versatility, there’s no question as to why it’s found in a lot of electronic devices. For vintage stereos, outdoor speakers, or old receivers, a capacitor has the ability to connect different circuits and have only 1 electric current running through. Its alternative use is to store energy or act as a smaller battery. You know how light can flicker sometimes? That same effect can happen to a circuit. When those skips in current happen, a capacitor is there just in case a circuit was to short circuit. If you don’t have a fan for your capacitor then you’re taking a huge risk. Without a fan, the chances of a capacitor failing rise exponentially. Now that you know why a capacitor is important, let’s discuss some problems that happen with them. Here are 3 common leakage problems with capacitors. What Are The Leakage Problems With Capacitors? The first type of leakage problem is literally something leaking. A liquid called “liquid electrolyte” starts leaking for multiple reasons. The first reason is when the circuit short circuits. Short circuits happen because of manufacturing errors. If liquid starts pouring from the capacitor then it’s sulfuric acid. Sulfuric acid is life-threatening. If it ever got in your eye, you can be permanently blind. It’s strong enough to mess up your skin and burn it in real-time. On an old receiver, don’t you think it’s more likely an old capacitor can leak due to wear and tear? Other reasons are a connection to a low-resistance conductor, loose wires, and more. The second type of leakage problem happens when a capacitor loses some of its charge. This happens when the material used for the capacitor isn’t conducive for electricity. The third reason for leakage is when external components hook to your capacitor. These problems won’t fix themselves so let’s understand how we can fix them. To access the capacitor, take out the circuit (motherboard) so you can use your soldering iron to take out the legs of the capacitor from the circuit. Similar to a battery, a capacitor also has a “+” and “-” insertion point. After the legs are inserted, clip off the leg until there are 2-3 millimeters left. Then solder the remaining wiring with a small solder drop. Be careful with how you solder your wiring because you don’t want any of the solder touching another intersection point. This leads to the circuit shorting. We’ve talked about energy throughout the circuit and how it’s stored. But too much energy causes a circuit to overheat and increases the percentages of shutdown. 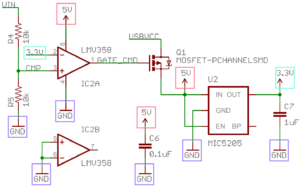 Is there another component that decreases current? And it’s called a resistor. A resistor is designed to resist current. It’s easy to remember the name and we’re grateful for that. Let’s not forget about its other capabilities though. The abilities can be the solution, or a solution to fix your old receiver. If you’re fortunate enough to have a high-powered resistor then you have a resistor which uses excess wattage power and converts it to heat. Converting wattage energy into heat makes a high-powered resistor act as a power distributor. 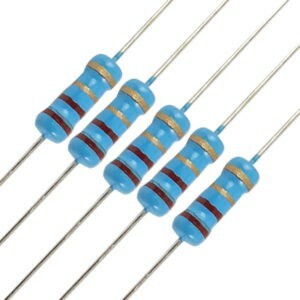 Another popular resistor is a fixed resistor. There are 3 variables which affect how a fixed resistor will act. What Are The 3 Most Important Factors To A Fixed Resistor? Those 3 factors are the time, voltage, and temperature. Just as there are different variations of a resistor, there are also different types of fixed resistors. For the sake of time, we’ll mention the different types of fixed resistors, but we’ll only go over 3 of them which we think will help most with a vintage receiver. A carbon film resistor is the first resistor we wanted to cover because it’s the most common in electrical circuits. 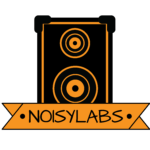 The defining quality of a carbon film resistor is it’s not noisy. Even if you don’t know what these look like or what they do, we’ll break it down to something practical. To make this relatable to a wide range of people we’ll relate these 2 materials to a significant other. Carbon film is material that resists electrical current. In a relationship context, this is similar to your significant other avoiding physical escalation from their partner. Too much physical interaction doesn’t make the relationship stronger by itself, it’s a combination of everything; emotions, experiences, values, and more. Too much current streaming through the circuit causes a lot of heat which causes burnout. Same with relationships…too much fire and the relationship burns out. The opposite of this is the ceramic substrate. What this does is insulate electric current. Current can’t always be repealed, it needs to be able to go to where it’s going to complete audio signals. In a relationship, just like there’s time for talking and understanding, you also need physical interactions. Both the ceramic substrate and carbon film balance each other out. In this resistor, a wire is put into a spiral around a non-conducive core. What’s special about the wirewound resistor is it’s specifically made for high-powered speakers. If you’re repairing an old receiver then you might as well make a high-end receiver simultaneously. The other qualities that make a wirewound resistor ideal to fix an old receiver is pressure under temperature, robustness, and low sound. Since old stereo receivers aren’t up to date alongside resistors, then it’s vital you do your research if you can replace your old resistor with a wirewound resistor. 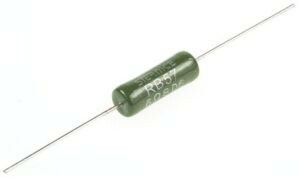 Not only is the foil resistor made in the 60’s which makes it a top candidate to replace your old capacitor, but it’s also one of the top 3 resistors on the market. What makes this resistor resistant to current is a metal foil placed on top of a ceramic substrate similar to the carbon film resistor. The mechanical properties of a foil resistor make it resistant to huge changes in temperature. Whether you have outdoor speakers or indoor speakers doesn’t matter. And just like the other 2 resistors here, a foil resistor is low noise. But the other qualities here are no inductance and low capacitance. All 3 are great resistors. 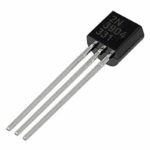 Our reasoning besides wanting to save time in explaining these specific 3 resistors is to give you quick recommendations. More importantly, we want to give you some basic qualities you should look for in a resistor before you purchase one. Even before purchasing one though, you need to test them out. Resistors are meant to decrease electrical current but this doesn’t mean it can resist ALL of the current. Want to know how to tell how much a resistor can resist? By looking at the bands around a resistor. The bands around a resistor display a color code and specifically how much a resistor can resist. Take out the power from the capacitors by using something metal to attract the current contained in the capacitor. MAKE SURE whatever device you use has insulation or you’ll electrocute yourself. Now you need to determine the resistor value. We mentioned earlier all you need to do to determine the value is to look at the bands around the resistor. But the bands slightly separated is a multiplier determining tolerance variable. If you don’t know what you’re looking at then consider calling the manufacturer or going on their website to help you. After you’ve figured out how much a resistor can handle is when you remove the resistor. Use a solder gun and melt the tips of the resistor until the resistor is completely off. This next step is more technical. What you need for this step is a digital multimeter. Once you have that then use the red lead from the meter on one side and the black lead to the other. 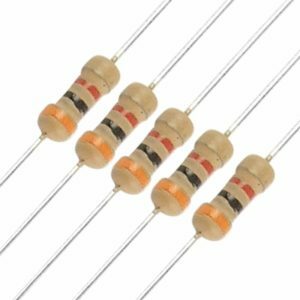 A resistor doesn’t have polarity meaning it won’t sway heavily to one side. Assuming you know the resistor value and variable tolerance, determine if the resistor lands in the range either equal, or higher than the resistor used. So if the range is from 0-50 and it lands on 25 then your resistor is good. If it doesn’t then you know you have a bad resistor. The physical process of inserting a resistor is simply using soldering tools and inserting the right leg to the right hole. The more important part is preparing to put a resistor in. What we mean by preparation is understanding the environment you’re going to put your resistor in. Before even thinking about putting your new resistor in you should do your research on what’s compatible with your circuit. Once you understand what type of resistor you’re putting in and the environment it’ll be in then you’re ready to insert your new toy.